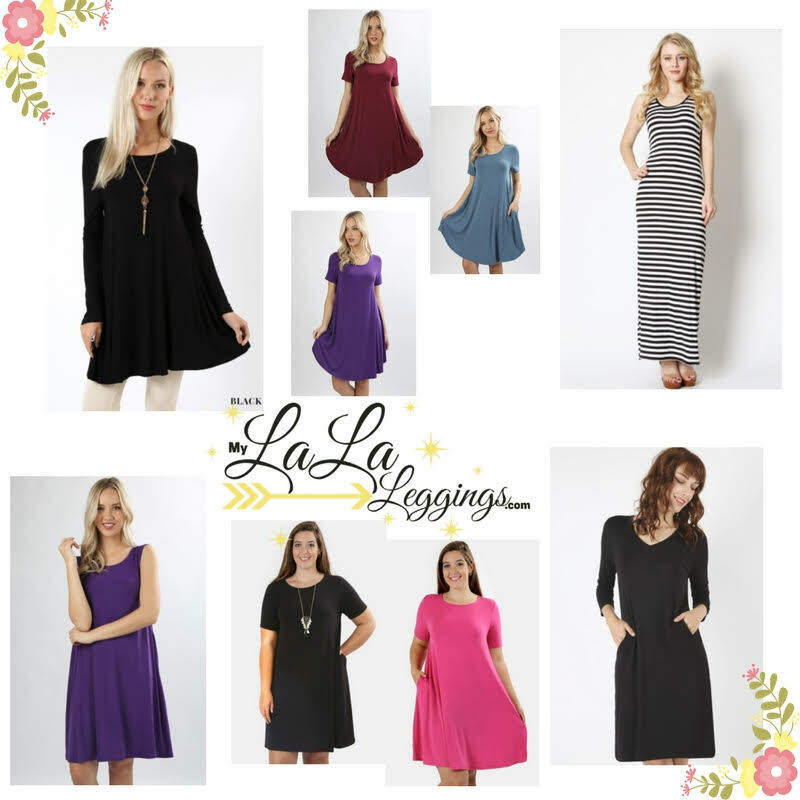 My La La Leggings is MORE than Leggings and they’re Introducing Dresses!! This post does contain affiliate links. Any opinions expressed are my own. I bought a shirt, pair of shorts, and some capris last summer from a local person from My La La Leggings. I’m not gonna lie, I didn’t expect too much since they were a brand I hadn’t really heard of. I thought, oh it’s just one of those companies trying to ride off the coat tails for that other famous legging company. But the prices were better, shipping was free, I wanted new clothes for the summer, and figured I was supporting a local business. Well I got My La La Leggings shirt, shorts, and capris and they are some of my favorite summer items to wear. Super soft, fits me very nicely, and they’re affordable. I liked them so much that when looking for some new clothes I tried My La La Leggings again. I have a cardigan, mommy & me soccer leggings, and a single pair of leggings coming. They should be here some time this week! Then they dropped a bomb on me. Tomorrow, My La La Leggings is launching dresses! Oh my gosh these will be perfect for the spring, summer, and my vacation! You can see the patterns and styles available and order online on your own time. No waiting for parties or lives if you don’t want to. More than just leggings: capris, tanks tops, cardigans, mommy & me sets, shorts, and now dresses! I’m a new My La La Leggings affiliate. I became an affiliate because I honesty LOVE their clothing. The styles change frequently on the site so if you see something you want you better grab it! Also in my opinion the shorts run a little small so I would buy 1 size bigger in the shorts. Everything else is true to size in my experience.